See the best-selling and most popular cookie scoops and ice cream scoops used by bakers like you. Take a look. 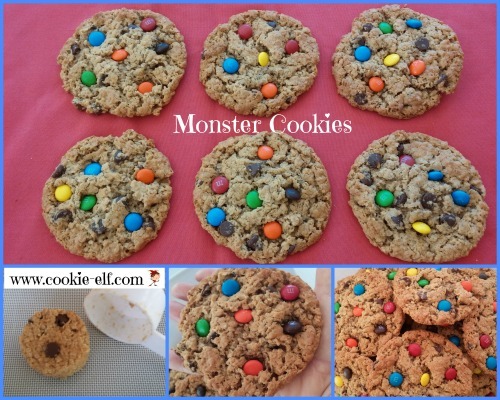 Monster Cookies are a perfect answer to “What should I bring to the picnic?” Who doesn’t love a giant cookie packed with goodies like peanut butter, chocolate chips, and M & M’s? And even better: this is a gluten-free cookie recipe! 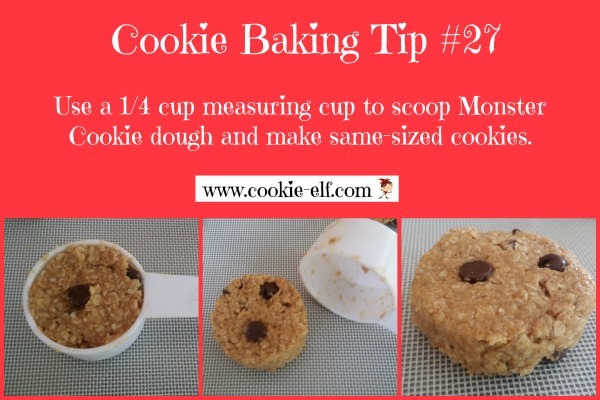 Get the complete Monster Cookies along with some cookie baking tips from The Elf. Plus be sure to check out The Elf’s Jumbo Cookies Pinterest board to get ideas for baking other oversized cookies.